Below are details of upcoming and past events – which are not always organised by Docs Not Cops but are relevant to our work. If you would like a member of Docs Not Cops to speak at your event or run a workshop in your area, please get in touch. Everyone welcome. Organised by Migrants Organise and DocsNotCops Birmingham. 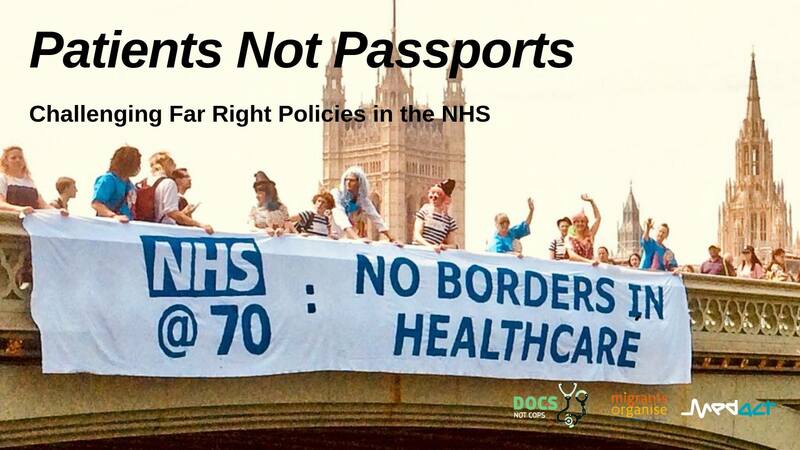 Bristol Patients Not Passports is a new group who believe that healthcare is a universal human right and should be accessible for all. 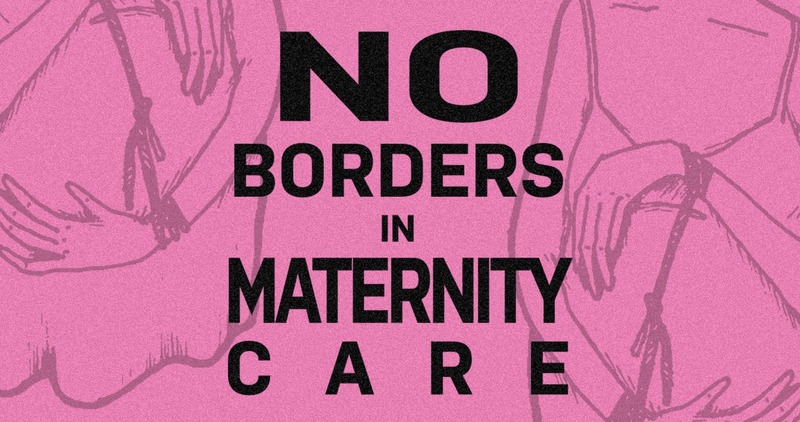 This meeting follows their “No Borders in Maternity Care” protest held to mark International Women’s Day (audio report). Go along to get involved in their campaign to end hostile environment in healthcare. Those affected by the policy, as well as healthcare workers and campaigners, will be on the platform. Speakers to be announced. Please book a space. The evening will also include a free meal. The venue is wheelchair accessible. 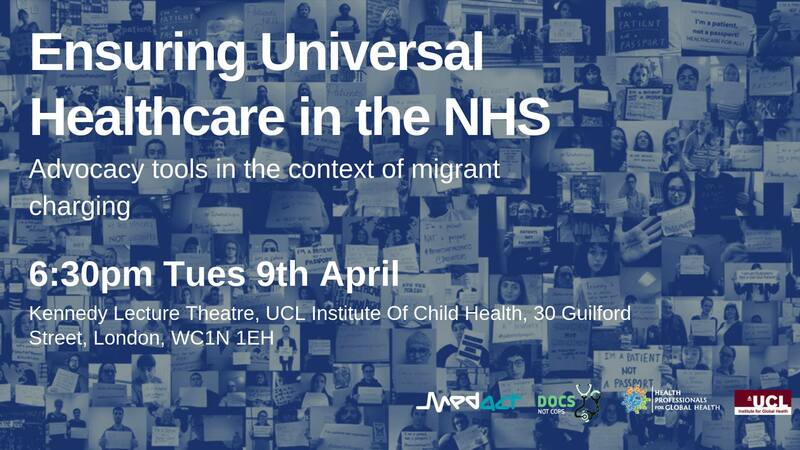 Join Docs Not Cops, UCL Institute for Global Health, Medact, and Health Professionals for Global Health to find out about the impact of NHS charging regulations on migrants and the role healthcare workers have in improving access to care for all. 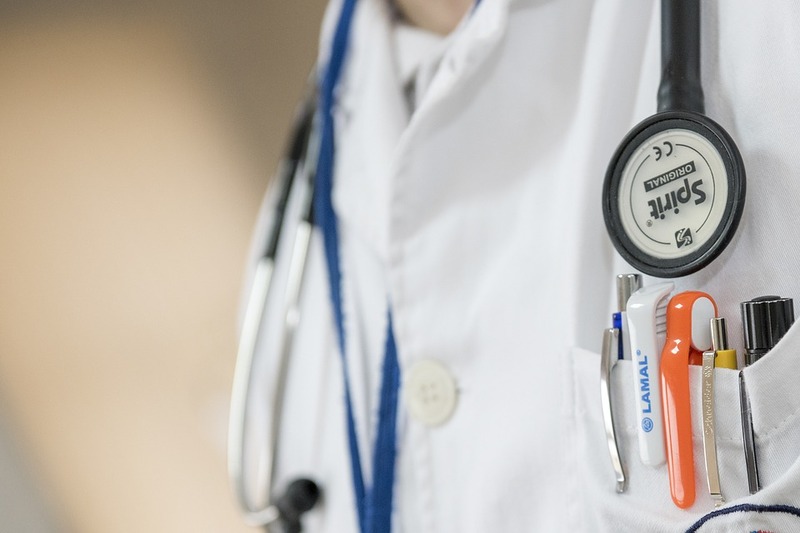 This event will launch Medact’s Patient’s not Passports Toolkit and showcase a variety of speakers who will discuss how the policy may directly contravene the principles of universal healthcare. This year on World Health Day people and communities from all over the world will come together to call for progress towards Universal Health Care. 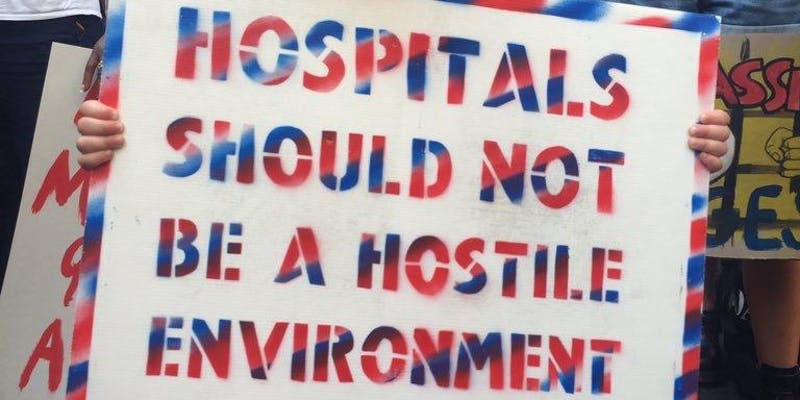 In the UK we are seeing the universal principles on which the NHS was founded constantly undermined by the privatisation and dismantling of our public health system and through the racist policies of the Hostile Environment. Increasingly people are being denied access to the services they need or being forced to pay for care they cant afford. We’ll be joining Peoples Health Movement-UK in Tower Hamlets, at a soon to be announced location in Tower Hamlets, for an afternoon of creative action to celebrate Your Health Day and say it’s time to #ReclaimYourHealth. March to BRI to hear migrants, medics and campaigners speak. 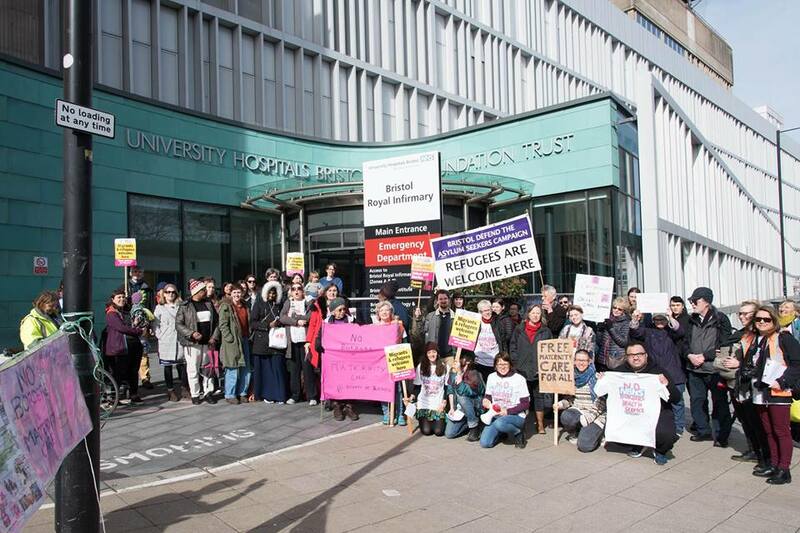 Supported by Project Mama, Bristol Refugee Rights, Bristol Defend the Asylum Seekers Campaign, Protect our NHS and others. Scrap the charges for migrants in the NHS! Since the hostile environment has entered hospitals, women without secure immigration status have not been accessing maternity care because they are scared of unpayable debts. This is unsafe for babies and mothers and increasing risk of poor outcomes, including death, low birth weight and the transmission of various diseases. To racially discriminate against patients? To make patients pay for NHS care? To refuse treatment to patients if they do not present a passport? Are you a: Medical professional? A patient? 10am-5pm, The Space, 257 London Road, G40 1PE. Resisting the Hostile Environment Facebook event. Please book a free ticket via Eventbrite. A day of workshops & talks about fighting back against the UK Border Regime. – How is the Hostile Environment currently functioning? – How are people resisting it and fighting back? – What actions can we take locally? Travel expenses and childcare available for anyone who needs them / if you are able to donate towards the event costs it would be very appreciated. With the world in the middle of “one of the worst forced displacement crises ever” (Refugee Council, May 2018), we are presented with a number of healthcare challenges. The needs of migrant women during pregnancy, birth and beyond. Their experiences of current maternity care provision in the UK. Strategies to improve the pregnancy, birth and early days of motherhood experience for migrant women and their families. Strategies to optimise maternity caregiver knowledge and skills when caring for this client group. An event aiming to bring together communities in the North West to hear more about the devastating impact of NHS charging regulations on individuals and the NHS more broadly, and collectively discuss building campaigns to challenge this policy. All welcome! Organised by: Keep Our NHS Public Merseyside, Save Liverpool Women’s Hospital campaign. Supported by: Docs Not Cops, Medact, These Walls Must Fall, Refugee Women Connect, Asylum Link Merseyside, South Yorkshire Migration and Asylum Action Group. 11am to 2pm at the Meena Centre (located in the former Divya Group building) on Sat 1st December. The meeting will include a light lunch. “The government’s hostile environment policy is permeating our society and services. It’s turning public sector workers and ordinary citizens into border control agents; causing incredible harm to migrants, refugees, and asylum-seekers; and isolating and dividing our communities. Come along to [Migrants Organise’s] meeting on Saturday 1st December to learn how the hostile environment is affecting people in Birmingham – and what you can do to help organise our city’s response. “We would like to propose an initial meeting to gather some people who might be interested, to start getting the ball rolling, to think about the biggest barriers are for migrants accessing healthcare in Scotland, what we might like to do and what actions we need to take to move forward. Hopefully this evening will be space for brainstorming and action points. “On Wednesday January 16th, Parliament is holding the second reading of the Immigration and Social Security Co-ordination (EU Withdrawal) Bill (pdf).